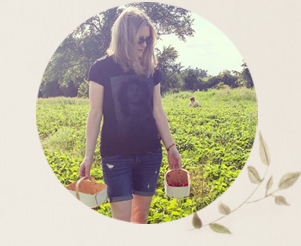 Mother's Day is coming up on Sunday and it's time now (if we haven't yet) to think about how we are going to celebrate the moms, mothers-in-law, grandmothers and mother figures in our lives. Cards are always a nice way to share sentiments. And homemade cards are even better. A couple of years ago, my youngest child stopped making Mother's Day cards at school. I have to say I have missed the little homemade crafts and cards the kids used to bring home. But kids who are too old to make crafts at school are old enough to make (more sophisticated) cards with Cricut. And that includes adult children, like me. 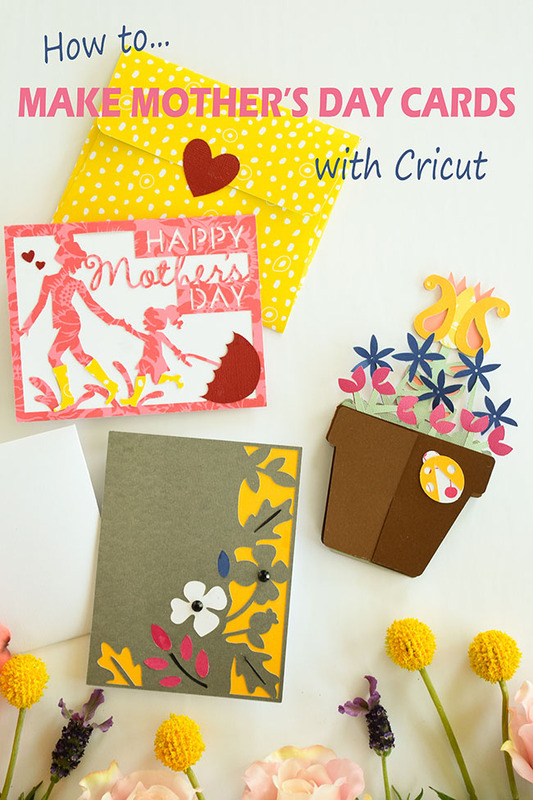 This year, I made three (easy) homemade Mother's Day cards with my Cricut Explore Air™. The Cricut does all of the cutting for you (even the envelopes) so all you have to do is glue pieces together! And compose a really great greeting, of course. Here's a closer look at the cards I chose to make. 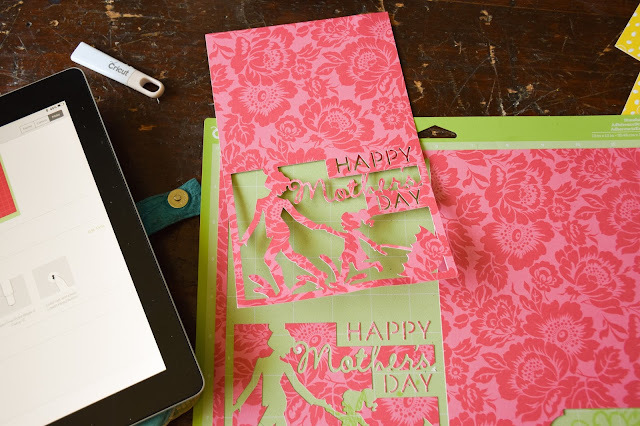 There are many more ready-to-make Mother's Day card options in Cricut Design Space. 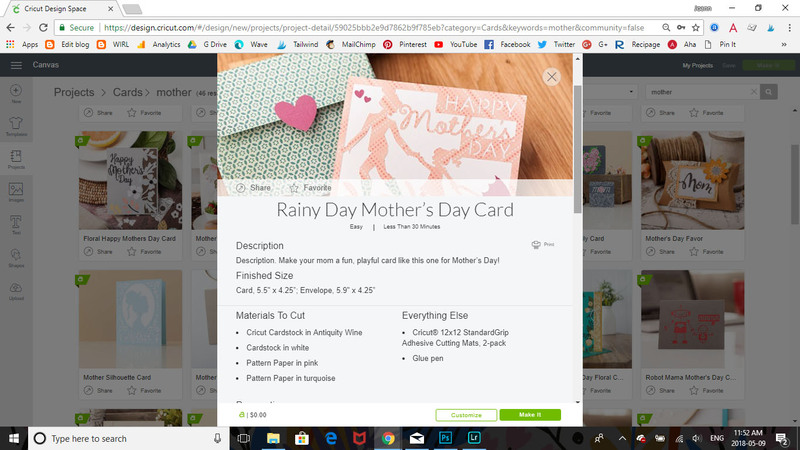 (The letter "a" inside a green icon in the upper left of the project photos indicates those files are free with Cricut Access membership.) 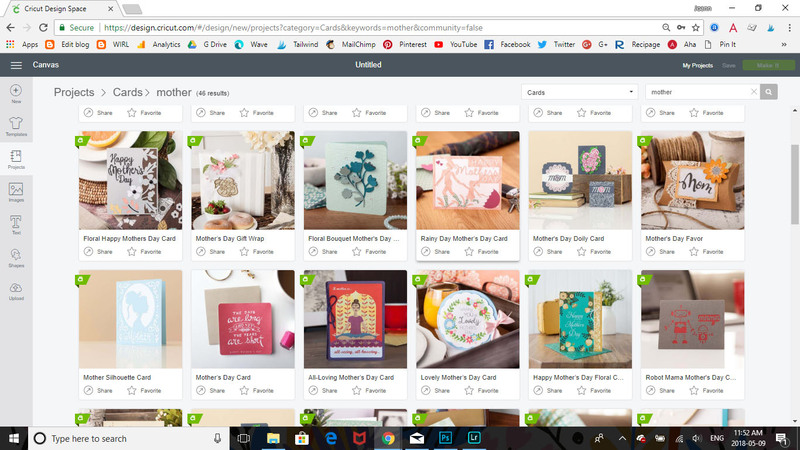 Within Cricut Design Space, choose "Cards" from the dropdown menu of categories and then enter "mother" in the search box to narrow the search down to cards for mom. There are so many great card options, from very simple to more complex. You can choose something that speaks to the recipients interests too - like the cute one with a mum in meditation pose. Click on the card image to get more details - materials required, cost (if any) and assembly instructions. Click "Customize" if you want to change the size or any of the details. Click "Make It" if you just want to cut the card straightaway. 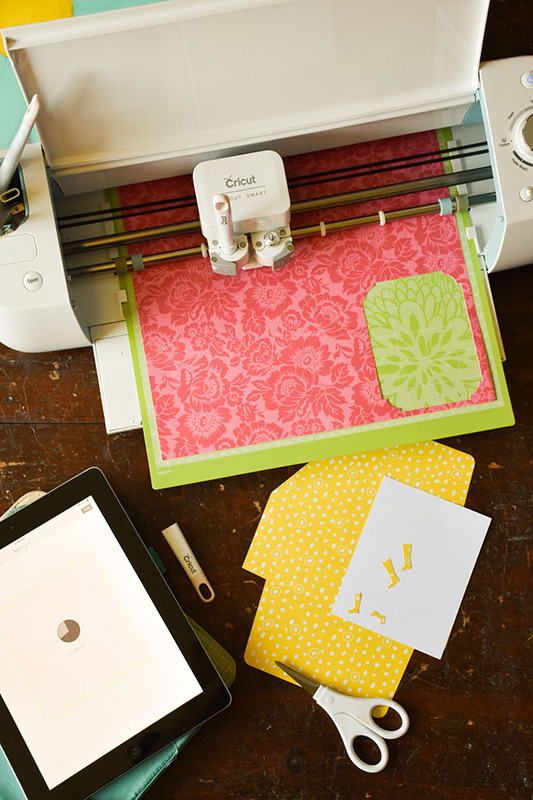 Once you click "Make It," you'll want to hook your computer or iPad up to the Cricut machine (whether via the cord or Bluetooth). The screen shows you which colour paper is up first (or next). Adhere your selected paper to the cutting mat, set your machine to cardstock (or use the on-screen materials setting to choose a custom material) and follow the on-screen instructions to make the cuts. Once the cut is complete, carefully weed the cut away from the rest of the paper, using the weeder tool for any small areas such as the insides of letters. Obviously the type of cardstock or paper you need for your Mother's Day card will depend on the card design(s) you choose. 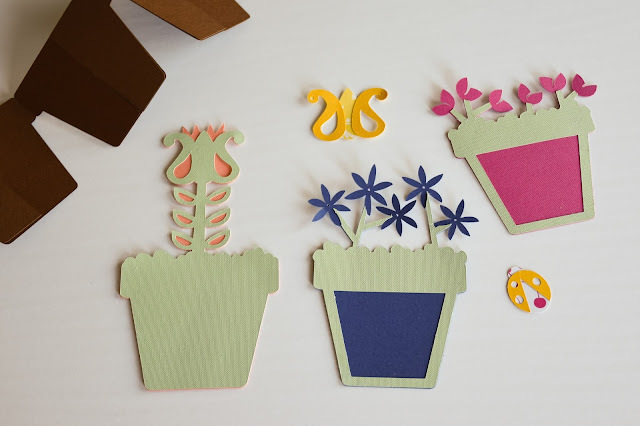 There's a lot of leeway though - you can certainly change up the colours or patterns to suit the look you're going for or to use up cardstock you already have on hand. 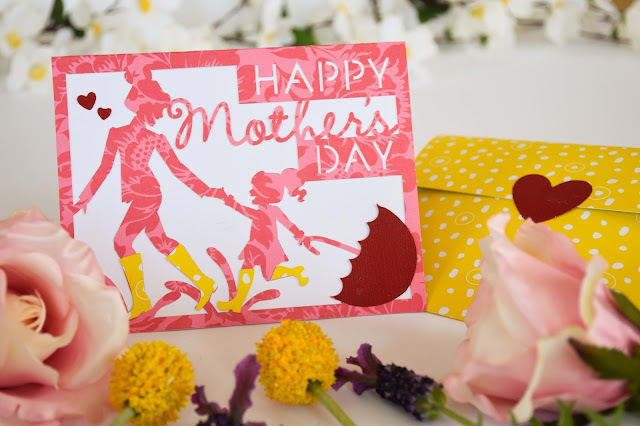 I had a partial package of the pretty Anna Griffin® deluxe paper sampler in Rose Medley from a previous project, so I decided to use one of the two-toned pink floral sheets for the Rainy Day Mother's Day card. Then comes the fun part - gluing. Okay I don't really find it that fun, but I think it's because I need new glue. The glue sticks are too fat for the thin areas of cardstock and the spray adhesive just kind of blasts everything (including fingers and mats). I would suggest using the adhesive (carefully and in a ventilated area) only for larger pieces of paper. The glue stick is manageable for the smaller areas, but I'm on the hunt for a glue pen or liquid glue with a small nozzle. 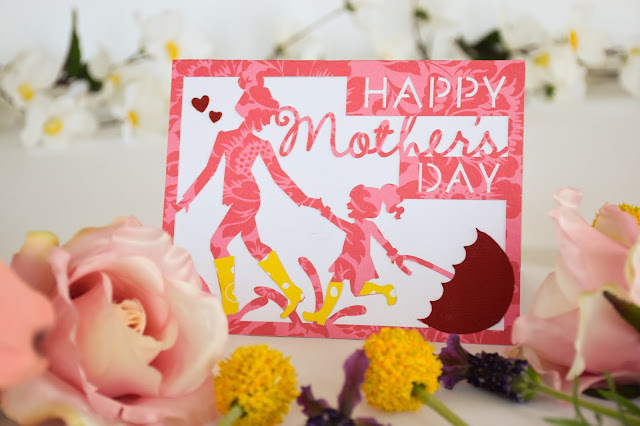 I chose to do yellow patterned rubber boots for the Rainy Day Mother's Day card. I used the same yellow patterned paper for the envelope and I really love the upbeat nature of it, especially when it's fastened with a red paper heart. This pretty paper is from Cricut's Summertime Deluxe Paper, a sampler of 2 each of 5 lovely patterns. This might just be the card my family gives me for Mother's Day. Ahem. 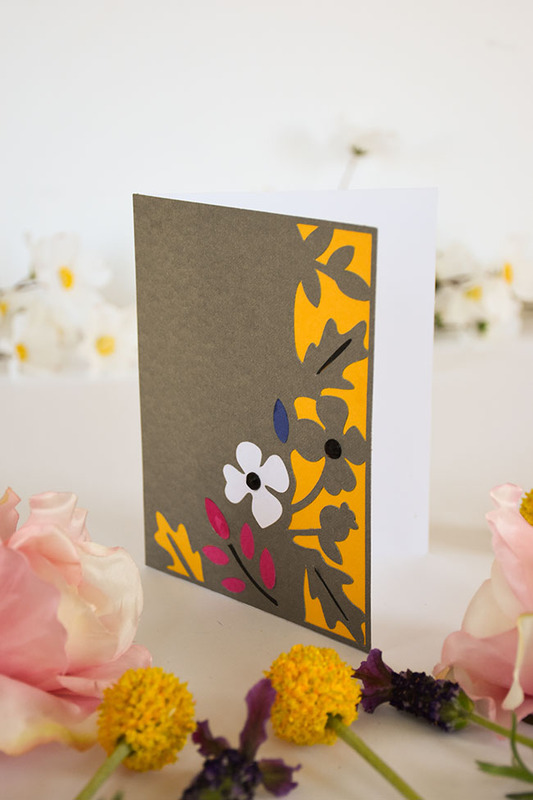 I also made this slightly more traditional floral card - the Floral Happy Mother's Day Card. 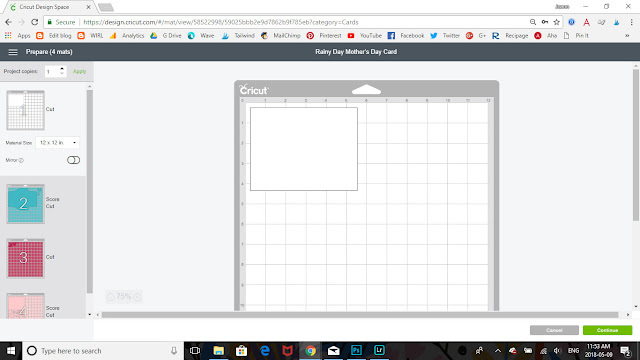 It's supposed to say Happy Mother's Day on the front in black cardstock but I didn't like the way the letters turned out. I think it looks pretty without the wording anyway and we will be sure to write something nice inside! I got the black crystal stickies for the centres of the flowers from the dollar store. 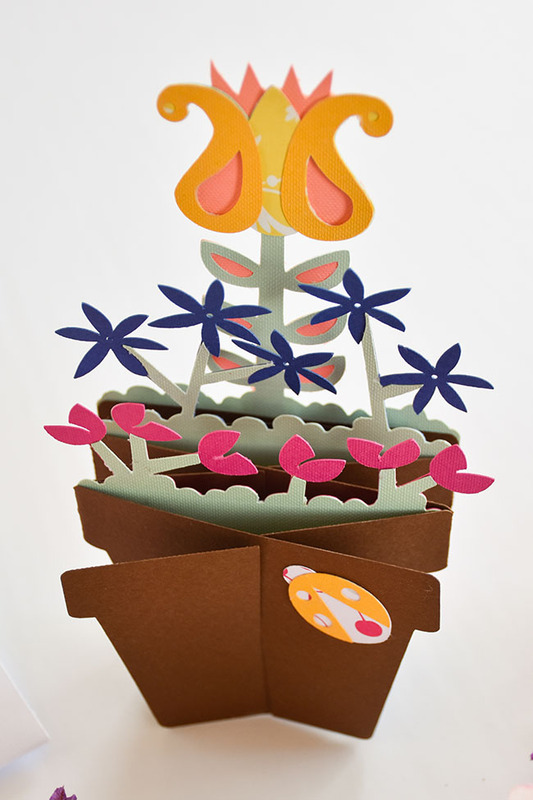 Perhaps my favourite of the three cards is this Mother's Day Flower Pot Card. I mean, it stands up! I found that the instructions in Design Space were not thorough enough for me. I think there's a step missing. So I'm showing you the first steps in the gluing process, above. Basically the green sections need to go on before you proceed to gluing the rest. The blue and dark pink areas that show on the two pots are where you'll do your writing to the card recipient. Those two sections then tuck into the brown base rather than being glued on. I totally would have pieced it together wrong if it weren't for a video from Melody Lane that I found. 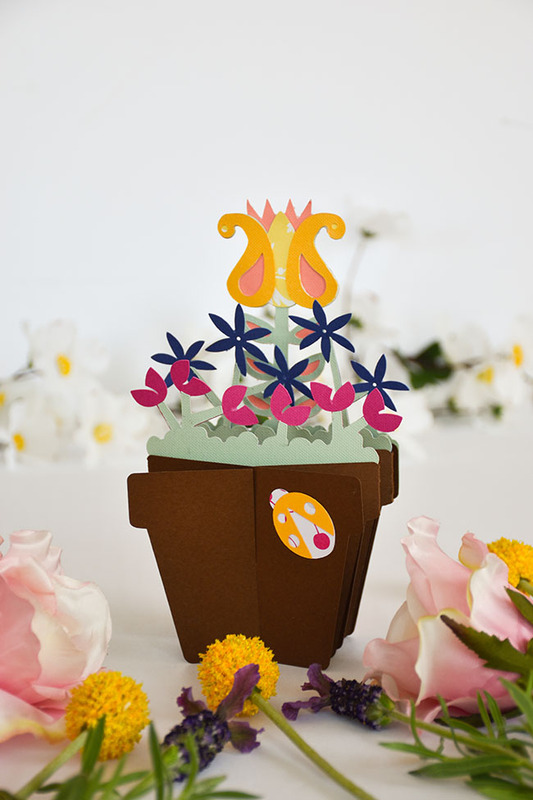 See how to assemble the flower pot card. Isn't it so cute? For the ladybug I used a bit of patterned paper that I had leftover from another project, topped with yellow wings. The instructions call for gold vellum wings (and some petals) but I didn't have it so I just used yellow cardstock. You could also bling this card up more, with rhinestones on the flowers. I think it's really adorable even as is though. You could also change up the colours depending on what paper you have in your crafting stock. This whole card-making experience was so fun that it has me thinking ahead to father's day now! There's a Father's Day Tool Kit Card that would be perfect for my handy dad! So, do you still get homemade cards from littles for Mother's Day? 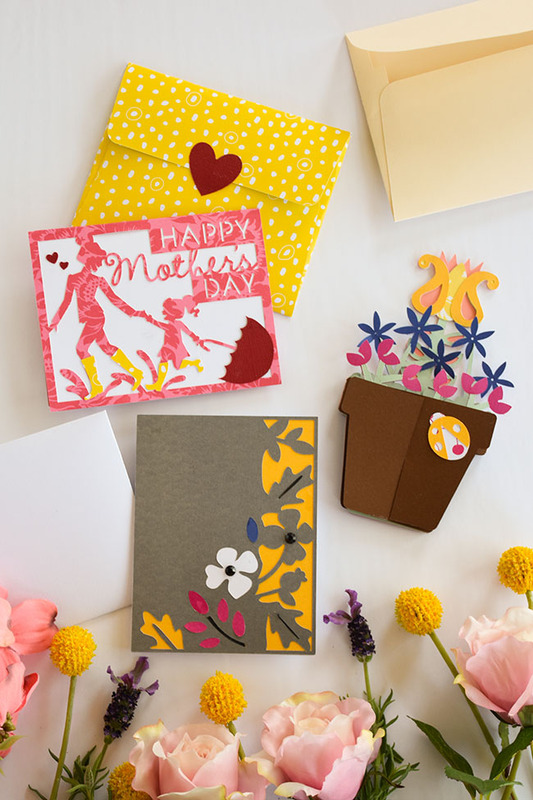 Do you make cards for your mom? 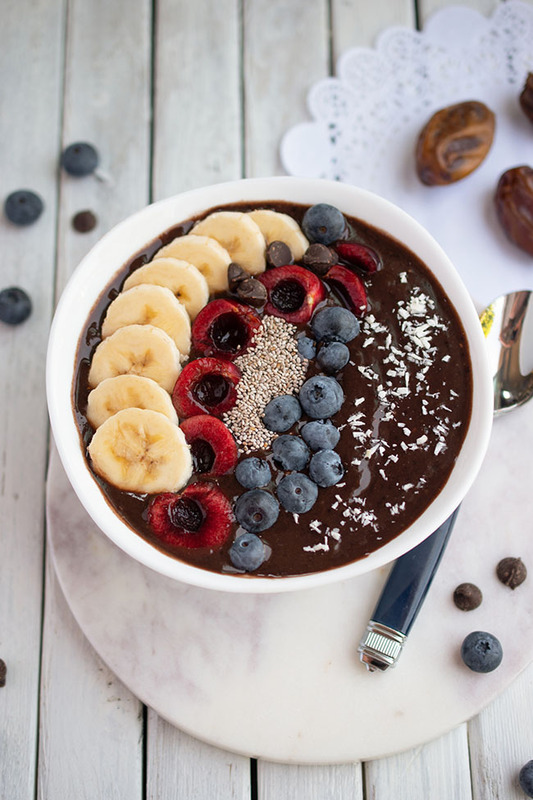 If not, would you like to?